Looking for iced coffee that’s not acidic, watered down or expensive? 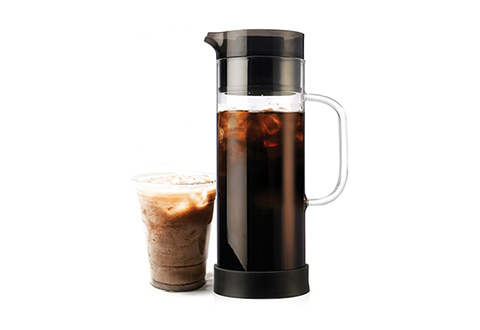 Now you can brew your own full-bodied, great-tasting iced coffee at home! 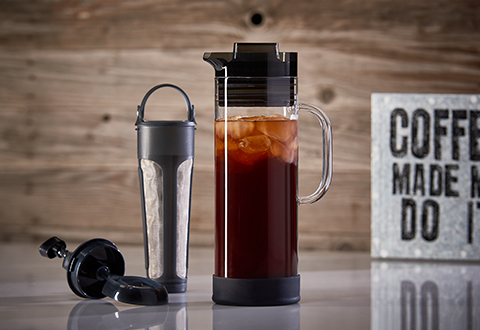 The Best Iced Coffee Maker gives you rich, delicious cold-brewed iced coffee that’s smoother, sweeter and 65% less acidic than hot-brewed coffee. Simply add water and 8 oz. (16 tbsp) of fresh, coarsely ground coffee. It makes approximately 1 quart of concentrated iced coffee that lasts up to 14 days. 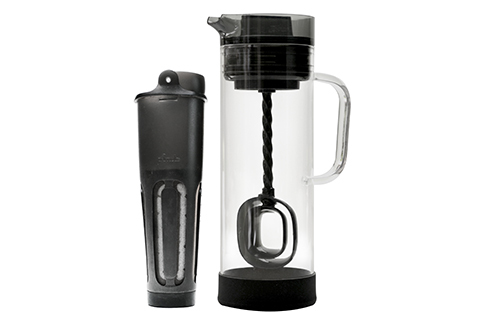 BPA free and dishwasher safe, it features a locking lid and a glass carafe that fits in a refrigerator door. Making great iced coffee is more than just adding a few ice cubes to hot coffee. 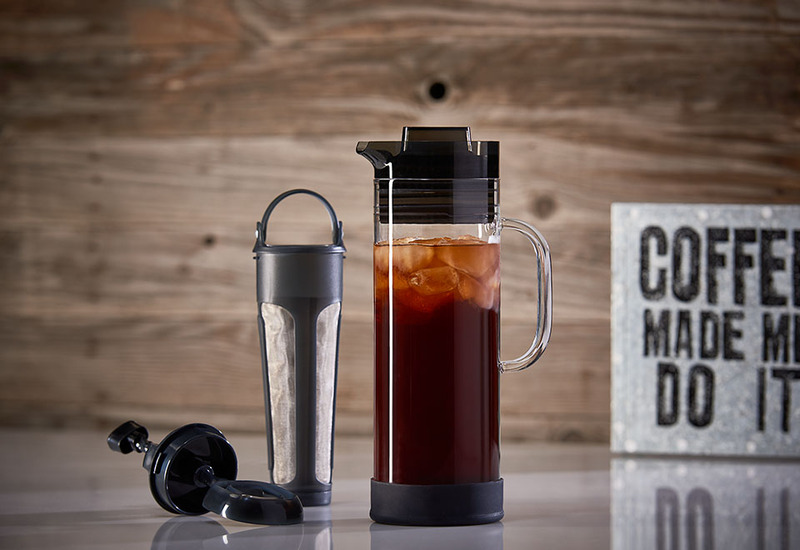 The Best Iced Coffee Maker has a special flavor mixer/chill core to help you cold brew the best iced coffee at home! • Plugs into an AC outlet.